The Mini Jambox from Jawbone is an ultra portable, wireless speaker featuring a built-in Lithium-ion battery and Bluetooth connectivity, delivering high quality audio playback wherever you are. 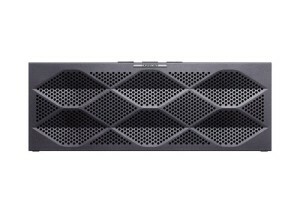 Featuring two front facing proprietary drivers along with a passive bass radiator, the Mini Jambox uses Digital Signal Processing to dynamically maximise sound levels and help deliver a sound far outreaching of its modest size. 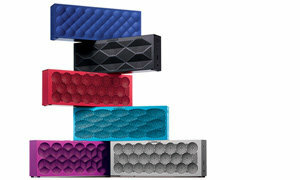 MINI JAMBOX by Jawbone brings beautiful, wireless sound to any experience. Get the most out of every moment with the speaker that goes wherever you go. It’s the perfect way to play music, movies, games and more, no matter where you are, so you can make every experience complete. MINI JAMBOX is the perfect size to fit in your pocket, and light enough that you won’t even notice it, until you press play. Then it becomes impossible to ignore. With multiple colors and designs, how your MINI JAMBOX looks says just as much as what you play through it. Sound is a huge part of making experiences come to life. And with MINI JAMBOX, whether you’re watching on a small screen, listening outside with friends, or playing a game on your phone, your entertainment won’t just be louder. It will seem fuller, feel more dynamic and be more alive than ever. Get 10 hours of continuous wireless playback with Bluetooth 4.0. 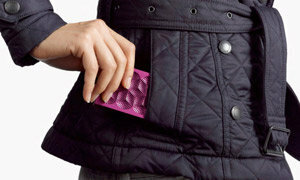 MINI JAMBOX is almost sure to outlast any dance party, movie marathon, or gaming session. And you can always see the battery status on your smartphone. 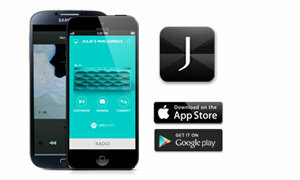 The Jawbone app gives you one-touch access to all your saved and streaming music. You can also personalize MINI JAMBOX and add new features as they are released. It’s the rare piece of technology that keeps getting better with time. Without looking this good, MINI JAMBOX couldn’t sound this good. The ultra-slim enclosure is crafted from a single piece of extruded aluminium, delivering an unprecedented combination of loudness and lightness.